If you have been arrested, don’t wait, call an attorney now – there is a possibility of having your case dismissed before it is even filed. 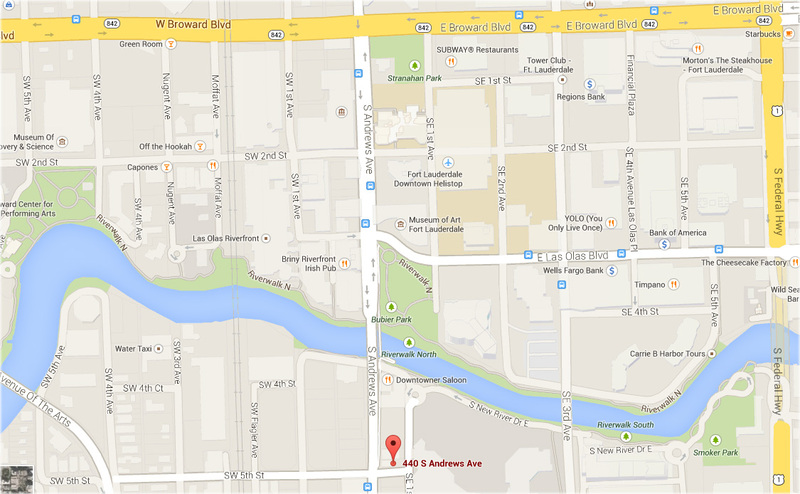 Castillo Law offices are conveniently located near the Broward County Court House and Jail. From I-95, take Broward Boulevard, head east to Andrews. Make a right turn onto Andrews. After crossing the New River bridge, turn left onto SE 5th Street, then make an immediate left into our parking lot. We are on the Northeast Corner of South Andrews Avenue and Southeast Fifth Street.